Is a Port Strike Looming? Workers contend that it's unfair for the Port of Oakland to demand more concessions at time when the agency enjoys a financial surplus. The last time workers shut down the port was in 1971. Al Loera remembers the last strike at the Port of Oakland. 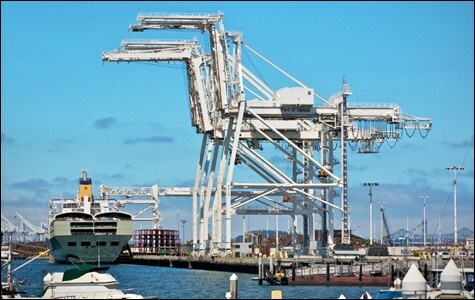 In the 1960s, Oakland was among the first seaports anywhere to containerize trans-ocean shipments, bringing the giant cranes now synonymous with the city's skyline. Container technology — the changes it demanded of labor, and the increased productivity and wealth workers would create using it — was a source of conflict between the port and its unions. In 1971, the ILWU went on strike for one hundred days, an action that was ended only by a federal injunction under the Taft-Hartley Act. Loera was hired two years later at Oakland International Airport, a fast-growing division of the port. By 1978, he was the president of the Service Employee International Union's airport chapter, Local 790, a post he holds to this day as leader of SEIU 1021's port chapter. There were various ups and downs for Loera and his co-workers over the years, but he recalls the last decade as mostly a steady march of progress. Between 1999 and 2009, his union was able to consistently improve its contract with the port, as worker productivity and port revenues grew. The last four years have been perhaps the roughest though. "Our unit is down about 120 people since 2009," Loera said in an interview. "We've had to agree to layoffs and furloughs because of the bad state of the economy." Port management and SEIU both anticipated that the Great Recession would significantly impact the port's bottom line. So workers shared the burden. In 2008 and 2009, the port's revenues dipped as imports and exports of various goods declined, and the airport saw fewer passengers. However, by early 2010 the port's revenues rebounded. The general economic downturn has ended up being just a brief slowdown for the overall growth and health of the port's business. 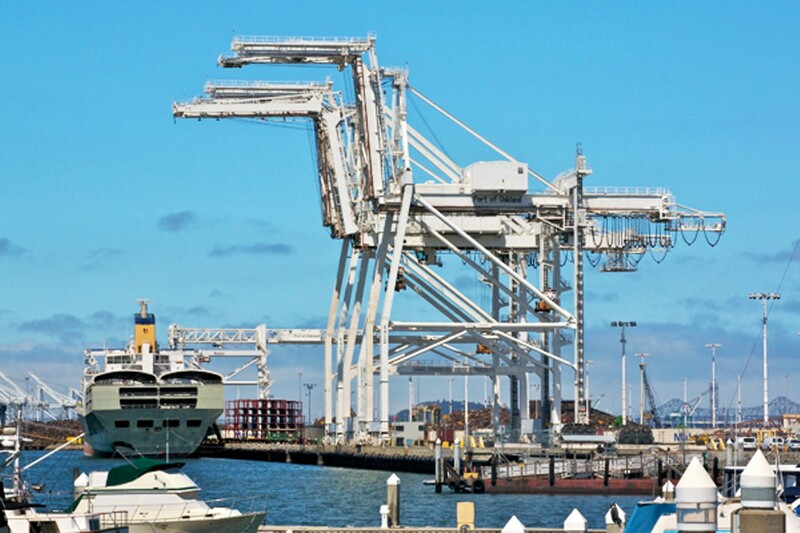 The weak dollar — combined with Oakland's leading position as an export hub — and other factors have made the port somewhat resistant to the general economic crisis. Nevertheless, now that contracts between the SEIU and three other unions representing port workers have expired, management is asking for major concessions, including an increased 5 percent employee contribution to their pension plans and no cost-of-living increase in wages. It amounts to about a 10 percent pay cut, says SEIU. Based on the port's actual financial health, the workers are pushing back, however, asking for their existing contract plus a 5 percent pay increase to keep up with inflation. After a year of fruitless negotiation, the workers and port management have reached an impasse. SEIU's members voted down the port's most recent takeaway offer by a resounding 177 to 3. The dispute is now in mediation, one of the last stages before a possible strike. That would mean a picket line of SEIU and other workers — a line that the Teamsters and the International Longshore Workers and Warehouse Union have already vowed not to cross. A full shutdown of the port led by workers hasn't been seen in 41 years. "If this were a legitimate fiscal problem for the port, if it were in fact losing revenues because of the economic downturn, we would entertain making more sacrifices for the port," said Loera. "In fact, our members have already shared the burden from a few years ago. But the port isn't in a financial crunch right now." In that way, the port's demand for more worker concessions is unusual. Typically, public agencies have demanded employee givebacks when the agencies were in financial trouble. "When our union has made concessions with other employers it's because they have demonstrated need and we have been reasonable to share the burden," said Ulysses Madison, regional director of SEIU 1021 during the public comment period of a recent port board meeting. "That's not the case here. You have had positive growth, even during the recession." The other unions fighting concessions in their contract negotiations with the port, including the International Federation of Professional & Technical Engineers, and the Western Council of Engineers, have also taken cuts already because of the port's slowdown in 2008. "We lost 25 percent of our unit since 2008 and have agreed to furloughs, and full PERS contributions for new hires," said Nancy Watson, executive director of the Western Council of Engineers. Reports in the business press as early as 2010 described the Port of Oakland's fast recovery as "spectacular" and "remarkable." A Business Monitor International article from August 2010 captioned one graph illustrating the port's rebound in cargo shipments with the words "strong as an oak," and noted that after single-digit contractions in 2008 and 2009 there was a 13 percent increase in throughput. Revenues for the port's maritime, airport, and real estate operations have since increased and are trending positive growth each year. Even so, the port's financial managers say they can't extend the workers' existing contract, and that concessions are required. In the port's most recent annual financial report, port Chief Financial Officer Sara Lee, a former Goldman Sachs vice president, blamed "weak economic conditions nationally and globally" as the reason to expect "flat to modest growth in activity and revenues in the near future." To communicate this message to the media and the public, the port has hired Sam Singer, a public relations professional who runs the San Francisco-based Singer & Associates firm. "From a macro perspective, the port, like many businesses and many families, was severely impacted by economic downturn and recession," Singer said. "The port has tightened its belt and is asking is union members to do the same to ensure the economic health of the port and to avoid future layoffs." The unions and port managers have produced competing analyses of the port's finances, and while they generally agree on the same numbers, drawn from the port's most recent financial documents, management has taken a much more conservative view of what operating surpluses and increased revenues mean. In a July 12 presentation to the port's board, Nicholas Peraino, a researcher with the SEIU, walked commissioners through the union's interpretation of the facts. "While the port claims concessions are needed due to supposedly flat revenues and long-term liabilities, the actual performance of the port over recent years tells a different story." Peraino pointed to large operating income surpluses of about $37 million and $51 million in 2010 and 2011, and then drew the commissioners' attention to a key figure, the port's debt service ratio. This ratio represents the overall available cash on hand to service outstanding loan obligations. A debt service ratio of 1 means there is exactly enough income on a yearly basis to make all outstanding debt payments, but nothing left over for new investments or as insurance. Today, most banks and corporations aim for a ratio around 1.15 to 1.35. "Your budgeted debt service ratio was 1.31," Peraino pointed out, "but the port already started this year with an actual ratio of 1.47, and it will likely be over 1.5 at the end of the 2012 year." The port's management contends that workers are misinterpreting the financials. "SEIU did not take into account capital expenditures, debt service, and other expenses that the port needs to pay for, including improvement of assets for life safety and regulatory requirements," said Gilda Gonzalez, president of the Port Commission, at a recent meeting. "Times have changed. Given the flat outlook for the economy and port revenues, we must ask employees to invest in their pensions." Peraino was disappointed in management's response. "The port has already set aside money for upcoming debt payments — it's budgeted," he explained. "You can easily afford to provide the cost-of-living increase for your workers. It's not like we're asking you to spend all the surplus on us. There would still be plenty of money left over for you to invest in capital improvements." Steve Gilbert, a member of SEIU's bargaining team, has become exasperated by the port's continued position. "After our research showed they had a rapidly growing surplus, they shifted to say that we didn't understand the issue of surplus, and claimed the surplus really went to debt service and capital expenditures," said Gilbert. "So we asked that they put their numbers into a document." What Gilbert and the union got seems to confirm their point, showing that the port can afford to give workers the same contract plus a cost-of-living increase, and still have enough money left over to invest in capital projects, while keeping a healthy debt service ratio. The port's managers, however, seem intent on freeing up as much money as possible over the next five to ten years in order to take on more debt for capital expenditures, including real estate and maritime projects. "Working people are fed up with the idea that the economic crisis we did not cause, that it's our responsibility to clean up this mess by taking pay cuts," Gilbert told the port's board earlier this month. "At the point when we have these surpluses, that the port would try to use this general crisis as an excuse to take away from our members is regrettable. If the management attempts to impose this on us, we will close this port."